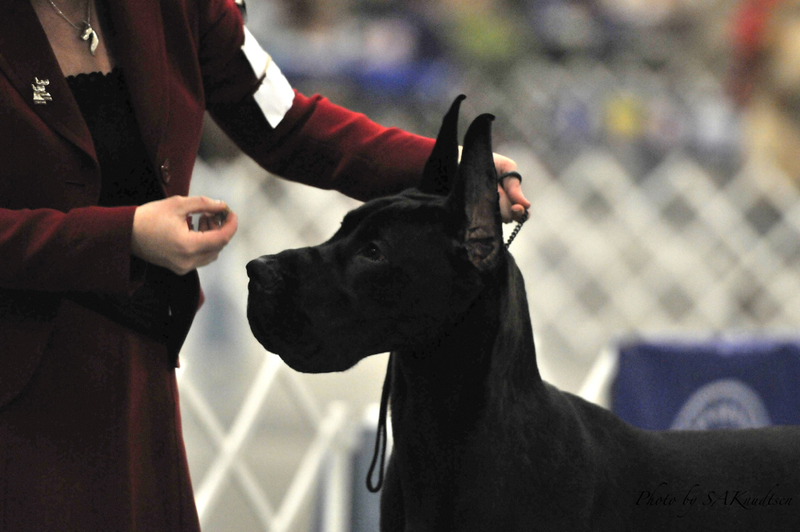 Sire: GCh. 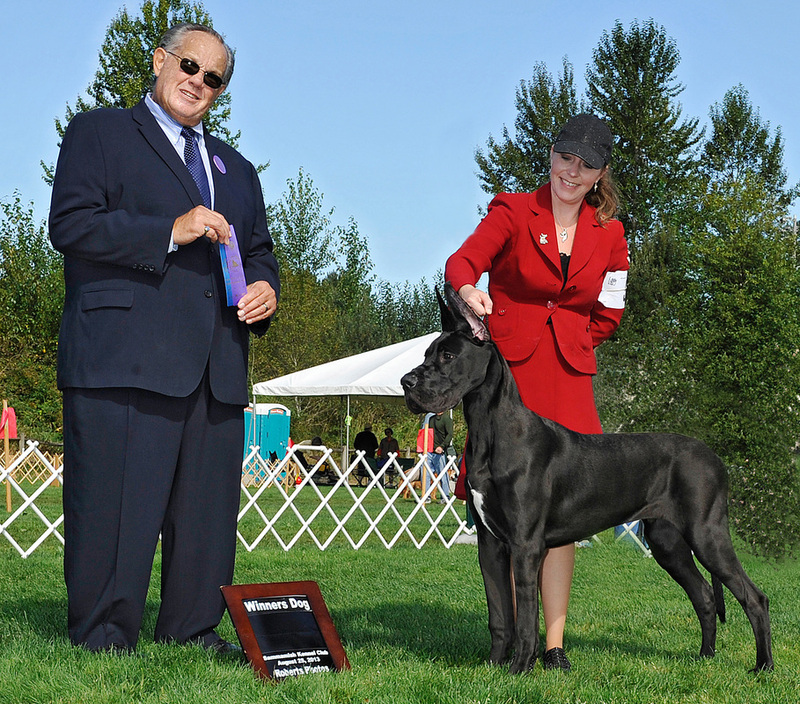 Cheshire's Prospector Dream " Koal"
Dam: Ch. Daynakin's Serenade of Joy " Serena"
Jacob reminds his "grandma Pam" of his daddy Koal. Time for my CLOSE UP!!!! 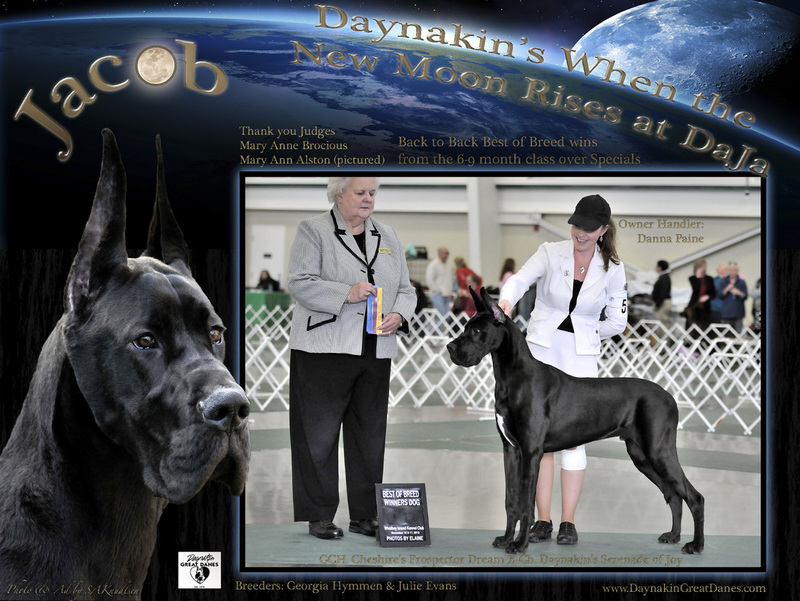 Jacob's ad announcing his 3 consecutive Best of Breed wins from the puppy class! Jacob competing in the Working Group from the puppy class.